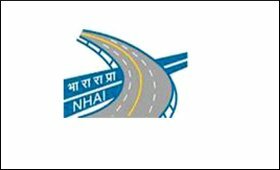 The National Highway Authority of India is raising funds for the government's flagship Bharatmala Pariyojana through monetisation of operational national highway assets through toll-operate-transfer (TOT) model, the government said on Monday. In a written reply to a question in the Rajya Sabha, Minister of State for Road Transport and Highways Mansukh L. Mandavia said the first bundle comprising of nine such projects with aggregate length of around 680 km has already been bid out. Apart from that, the NHAI is also borrowing from the market through the Internal Extra Budgetary Resources (IEBR) route. In the current financial year, it has raised Rs 8,500 crore from LIC and Rs 10,000 crore from EPFO through taxable bonds. "Further, NHAI issued rupee denominated Masala Bonds of Rs 3,000 crore through the London Stock Exchange on May 11, 2017," the Minister said adding these methods were being used to augment budgetary resources of the government. The total cost of the first phase of the Bharatmala Pariyojana -- involving construction or upgradation of 34,800 km of national highways between 2017-18 and 2021-22 -- is pegged to be Rs 5,35,000 crore. In addition, 48,877 km of projects under other ongoing schemes are also to be implemented during the same period, Mandavia said. "This has an approved outlay of Rs 1,57,324 crore. Therefore, including Bharatmala Pariyojana Phase-I, 83,677 km of highway sector projects are proposed to be implemented with an overall cost of Rs 6,92,324 crore," he added.